The art of candle making goes back centuries. But its history and the invention of electricity does not make candles outdated. 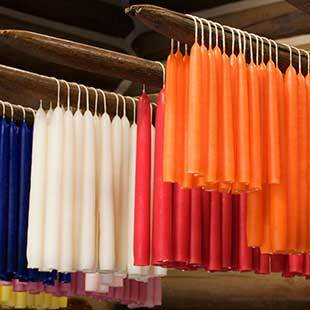 In fact, new technologies with waxes, wicks, and containers help candles continue their popularity. They are safer than ever before and come in all shapes, sizes, colors, and even scents. Candles can be the perfect accent to the décor of a room. They can help freshen the place up or even bring back memories with a special aroma. A candle can add a particularly homey or romantic touch to the room. From wax to wick, candles are really simple. In fact, those are really the only two parts of a candle. 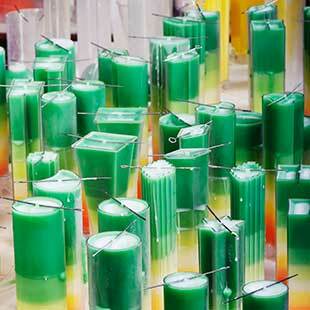 Learn all about the varieties available and what you should use in candle making. You might prefer the romantic image of a tall candlestick or candelabra, but today many candles come in glass containers. You can also get a warming plate for safe, flameless enjoyment.